It is hot in New York City as it should be in July. What has been unusual about the weather of late is the rain. For over a week we have been getting heavy rainfall almost every single day for at least a short time. This has been a boon for mosquitoes, which is very annoying and, considering the diseases they carry, potentially dangerous. 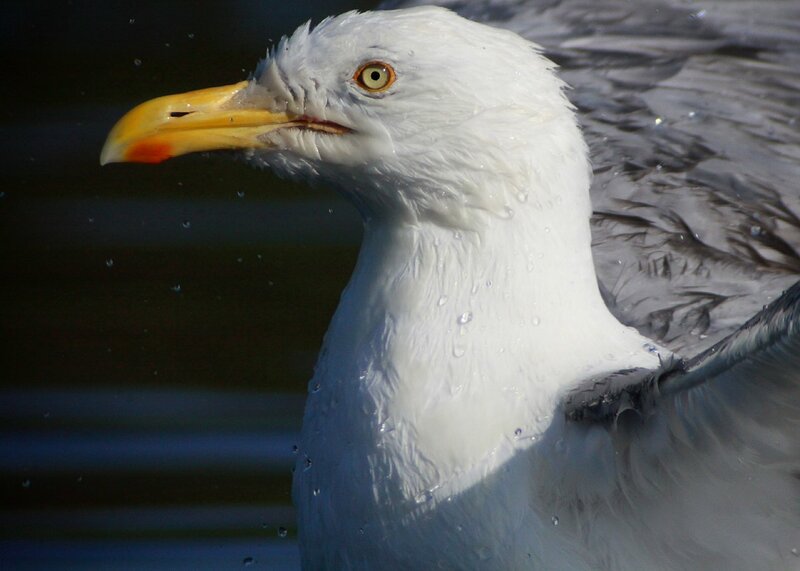 Though I had several species to choose from I spent most of my time digiscoping the Herring Gulls. They were just being more photogenic for some reason. Anyway, it seems like a big puddle is their way to beat the heat – here’s hoping you have found something that works for you! It was pretty impressive just how much water the gulls would splash into the air as they bathed. You can click the shot above to get a bigger version. 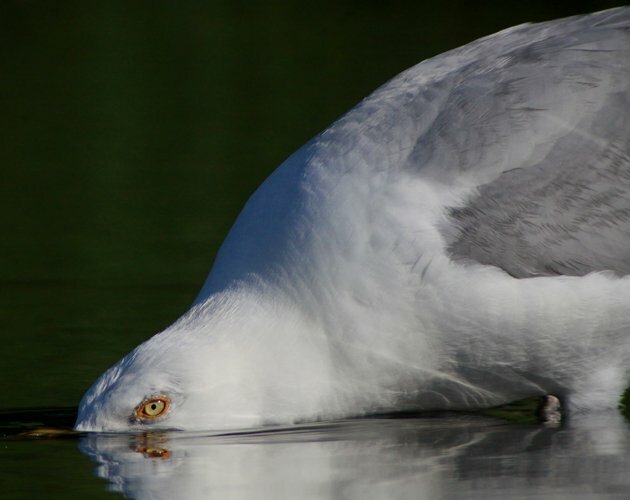 Though it is just getting a drink, I like to think that this Herring Gull is pretending it is a submarine. 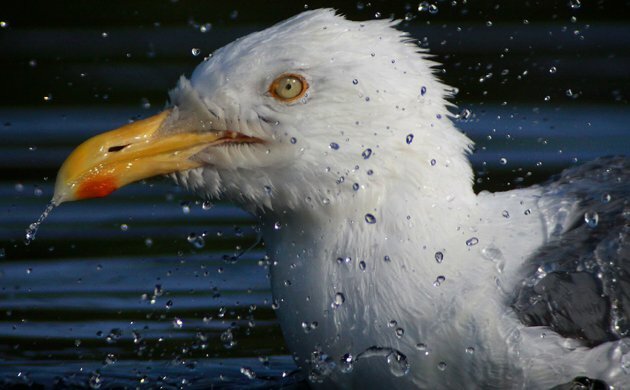 Like most birds, Herring Gulls must tip their heads back to swallow water. Even with a waterlogged face this bird manages to look pretty good. I hope you enjoyed these shots, all of which were taken through my Swarovski STX 30-70 X 95 spotting scope attached to my Canon EOS 50D with the Swarovski TLS-APO digiscoping adapter. If you want to see more great images of birds check out 10,000 Clicks, our gallery page full of links to hundreds of posts dedicated to a wide variety of species. I enjoyed these shots very much! 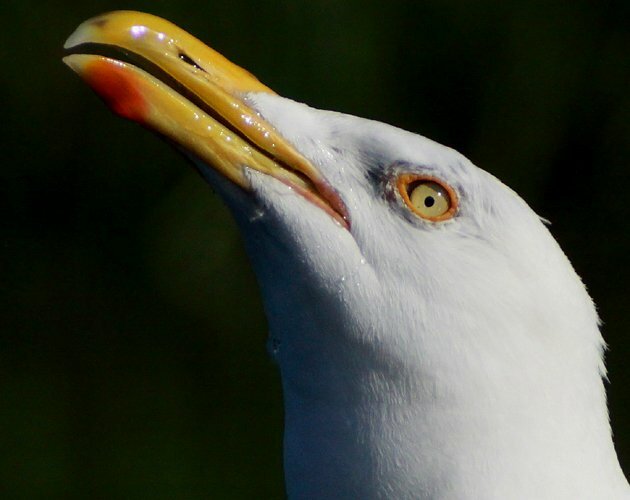 I take a lot of pictures of gulls, myself, as I live by the water, and see them every day (often at extremely close quarters). 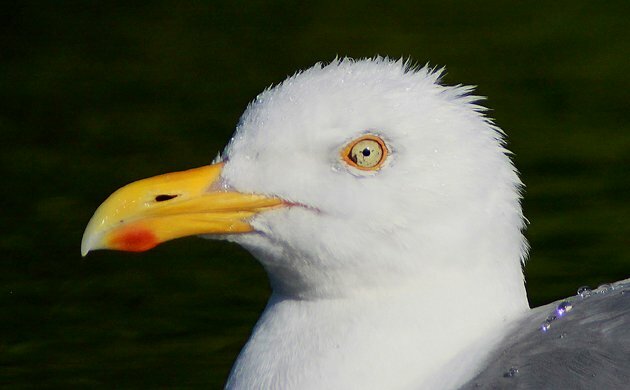 It’s always the Western/glaucous-winged hybrids I get pictures of, though. 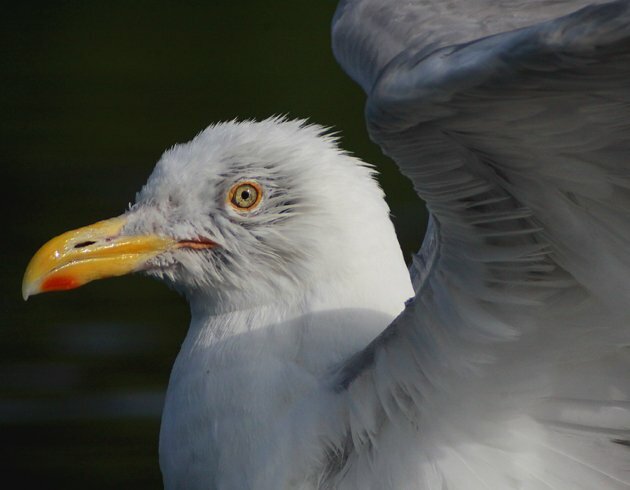 There are herring gulls here, but they don’t often land within range. 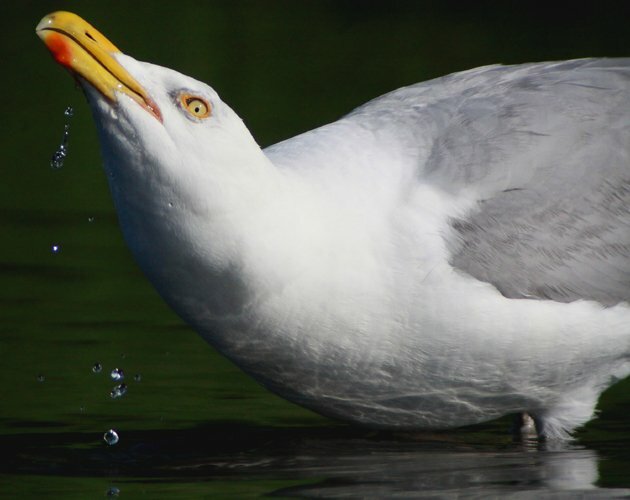 Special thumbs-up to the drinking gull. I also like the idea that he’s playing submarine. I love the shots, and also love that you’re not snobby and that you share the love with common birds! Excellent shots, especially the submarine one. 🙂 Thank you! Where Are You Birding This Second Weekend of February 2016?